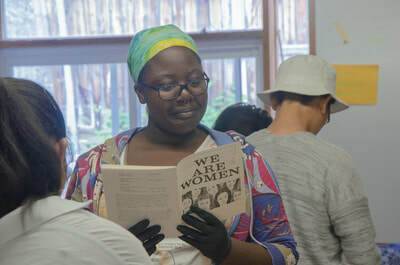 The Women's Kit REMIX Youth Retreat was a two-day retreat offered to various youth in Toronto to think critically and creatively about what the Kit has to offer. 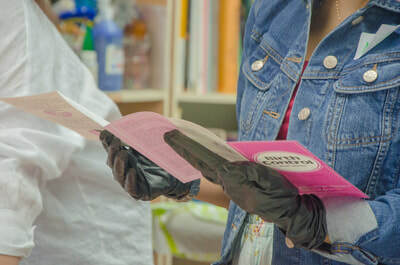 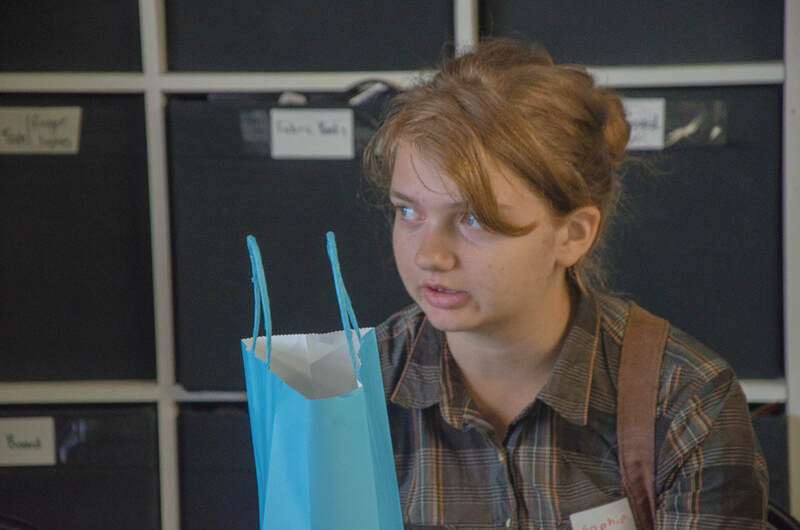 Youth were invited to carefully handle the contents and to consider what questions the kit might raise for them. 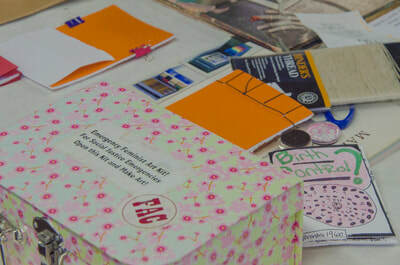 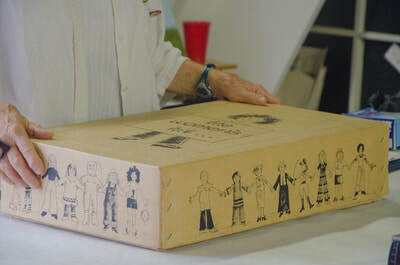 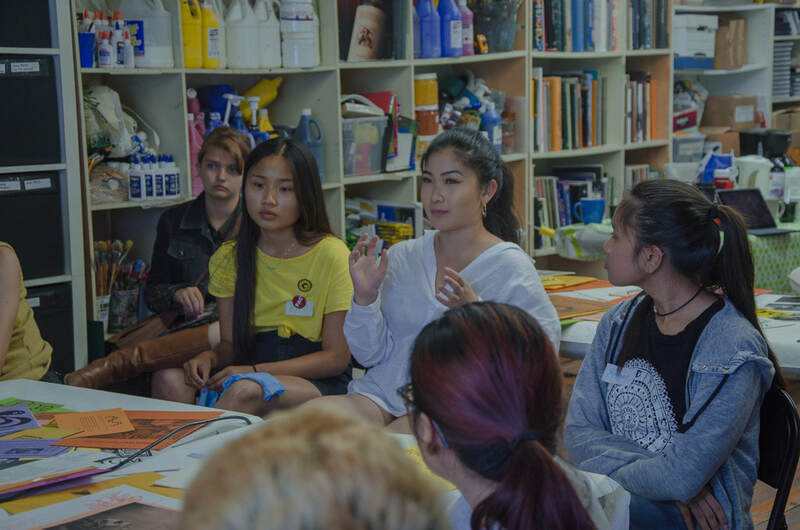 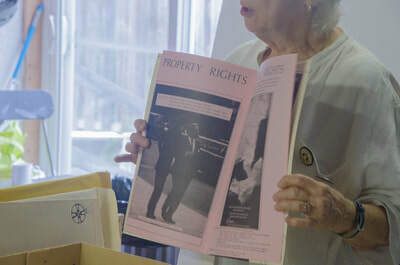 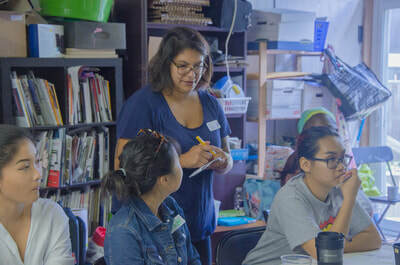 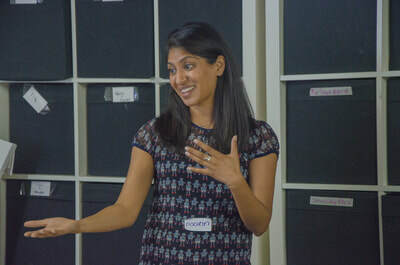 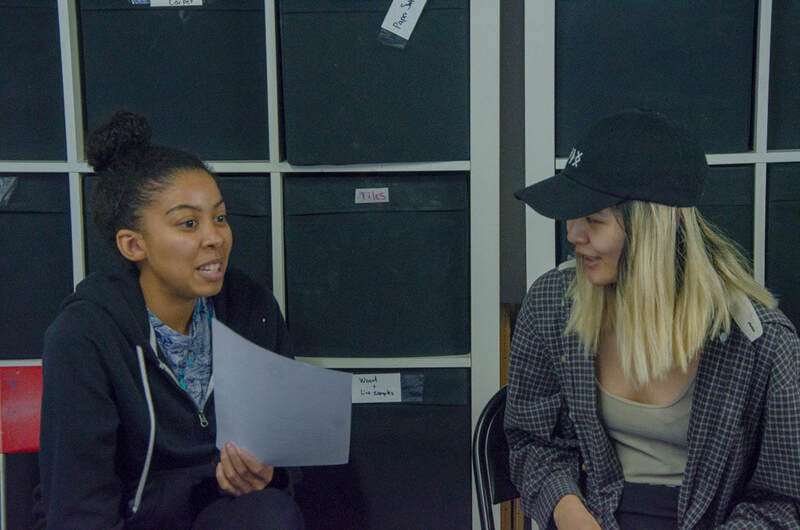 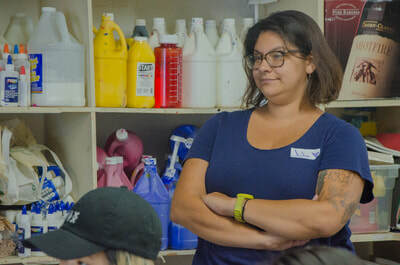 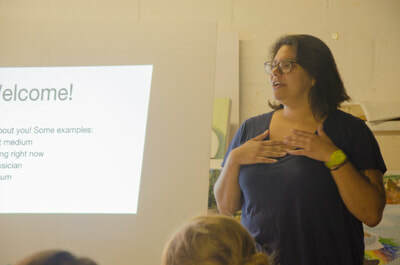 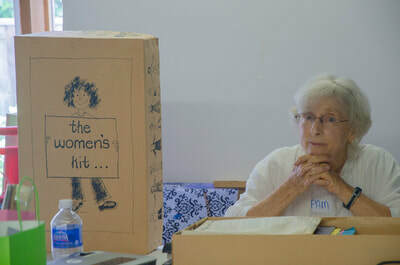 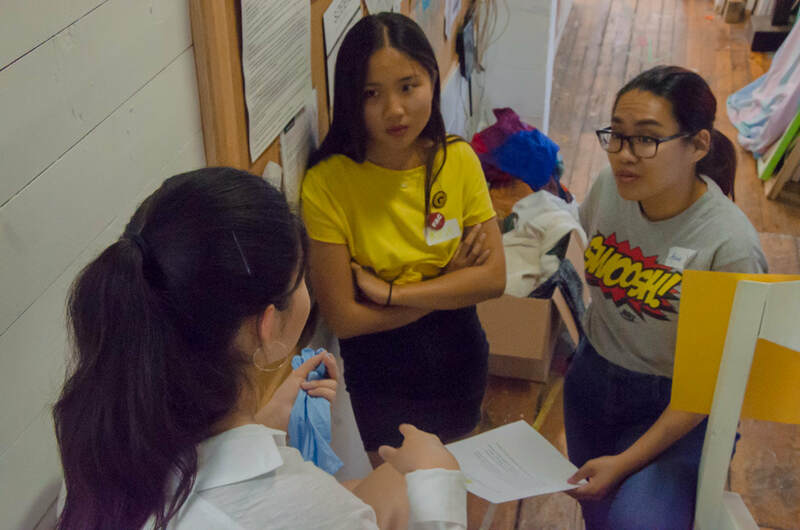 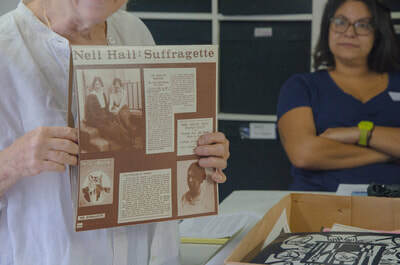 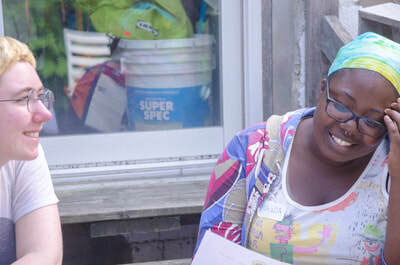 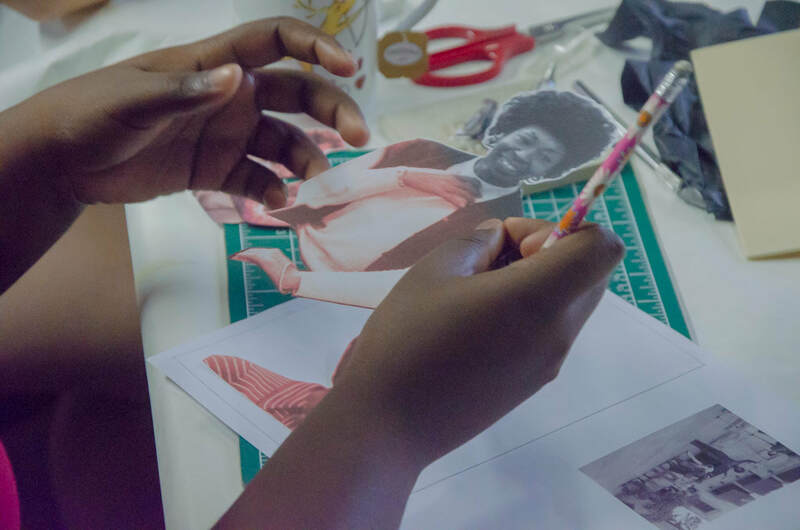 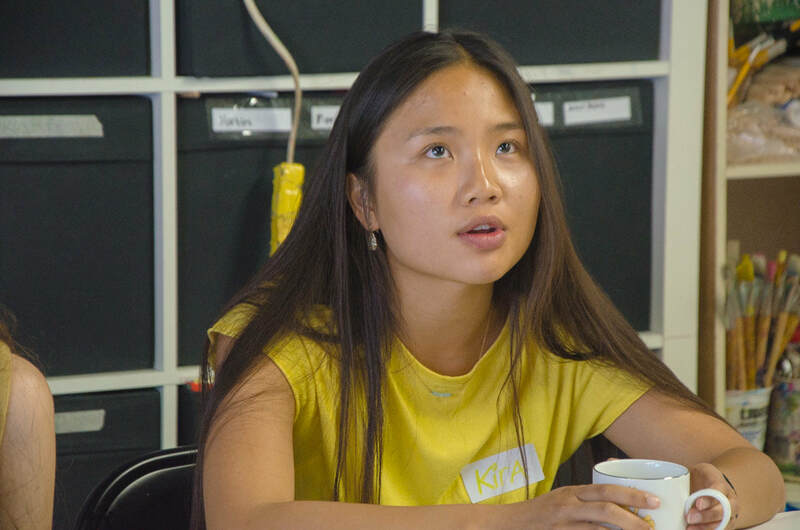 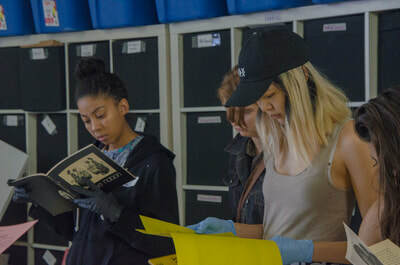 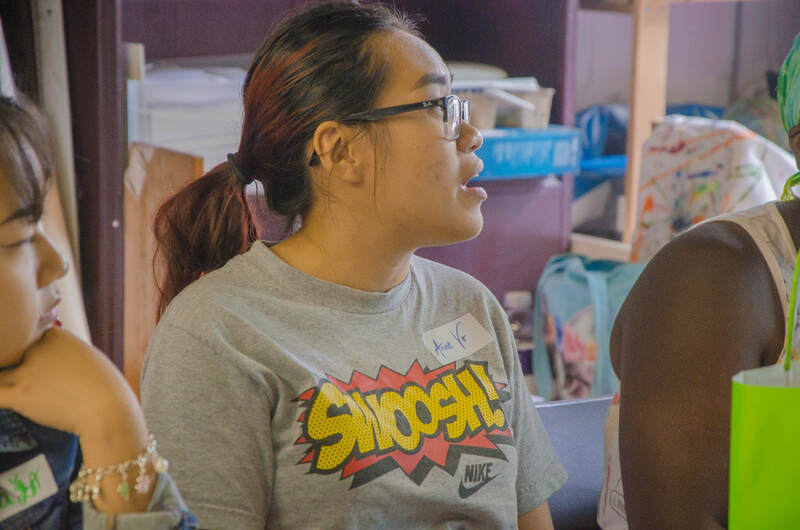 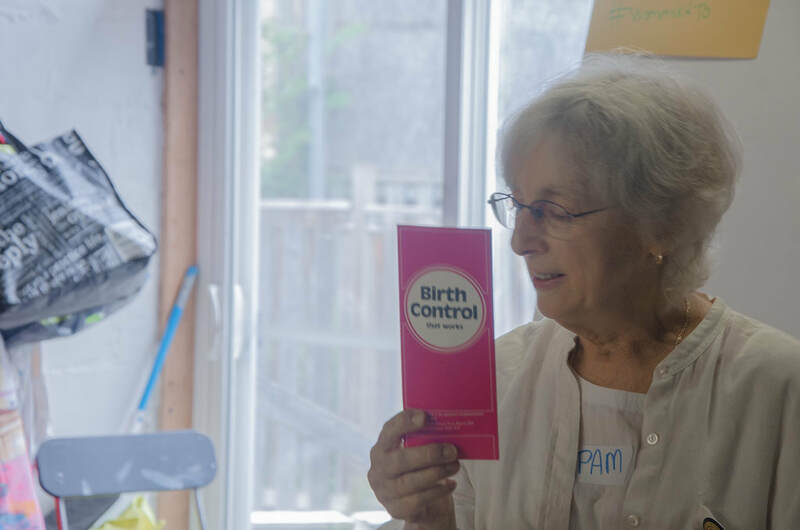 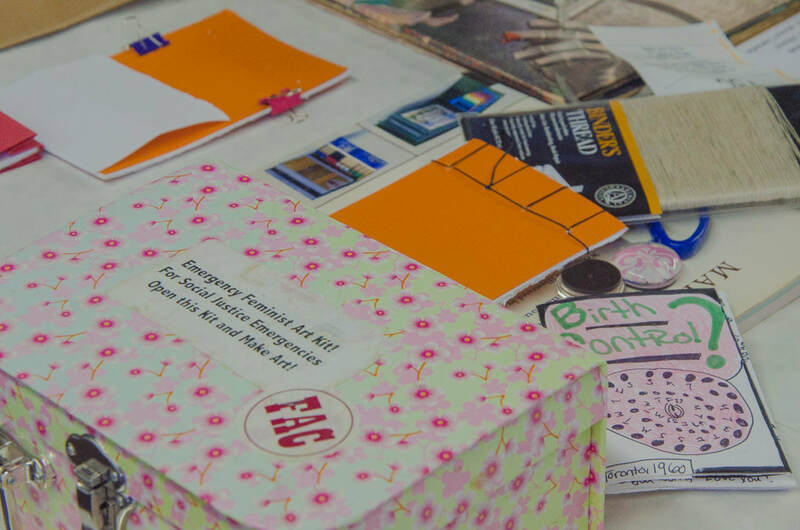 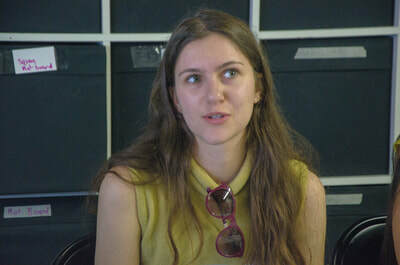 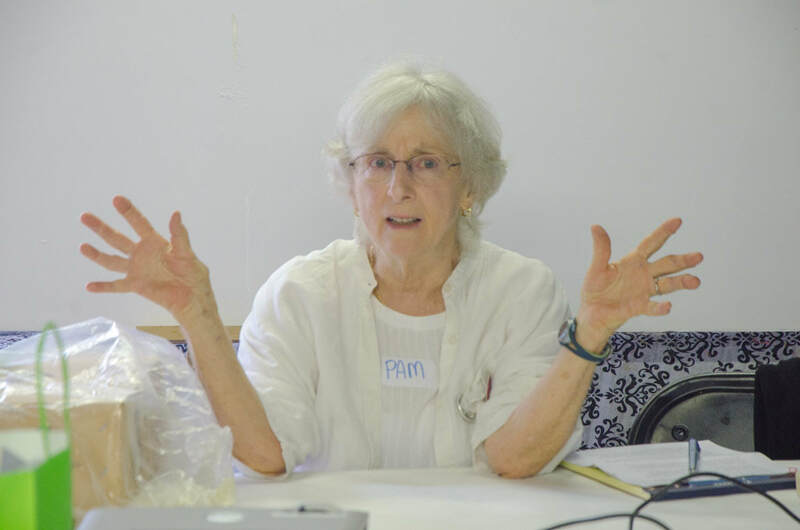 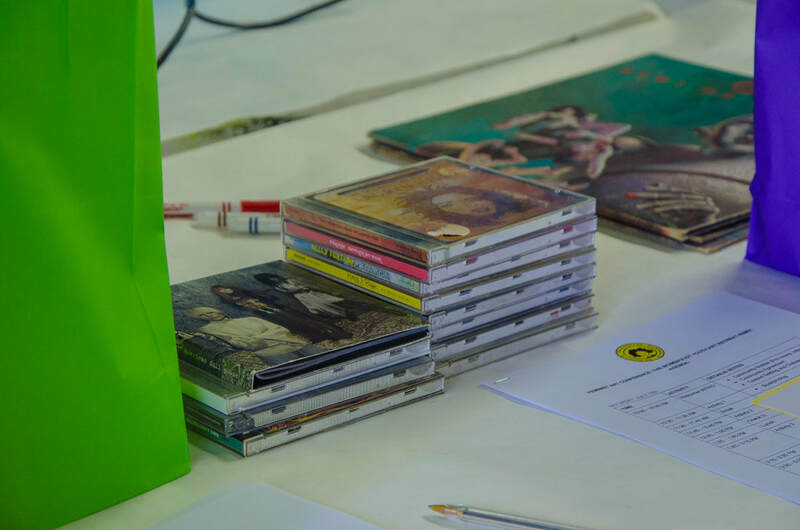 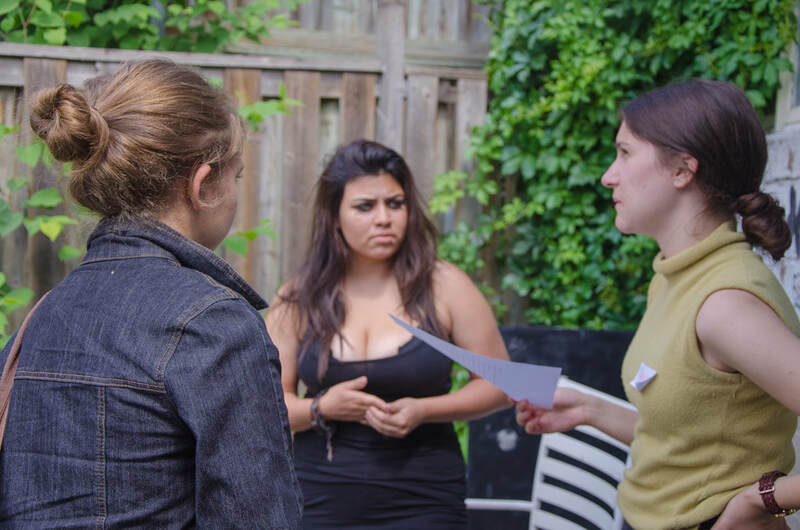 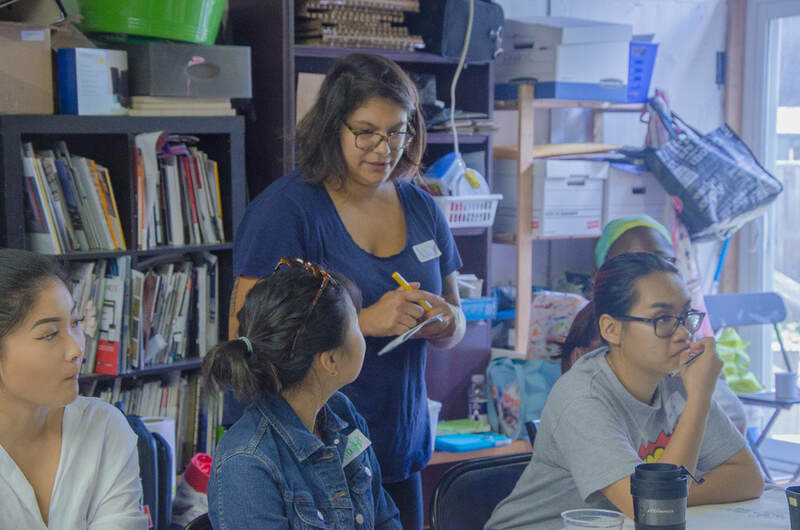 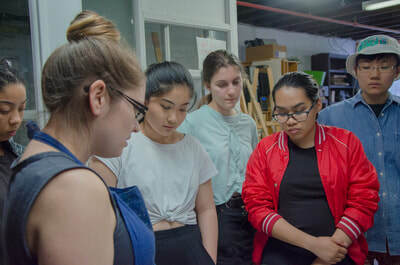 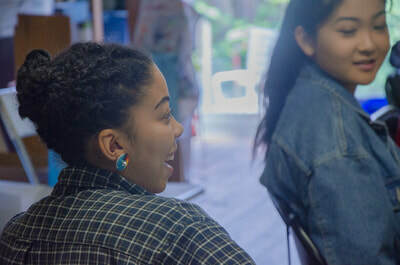 Using historical empathy, participants engaged in discussions about the kit's creation, which included a talk by kit originator Pamela Harris, while also addressing the gaps of voices not represented in the kit. The REMIX retreat took place on July 15 and July 16 of 2017. 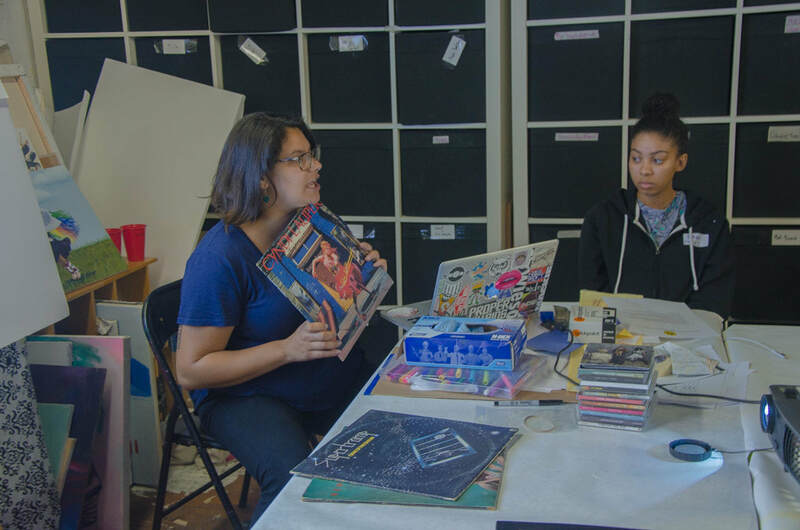 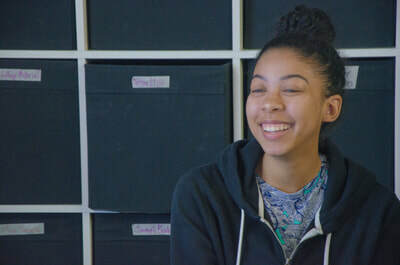 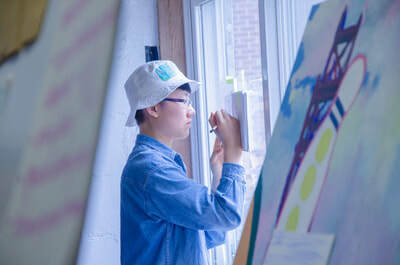 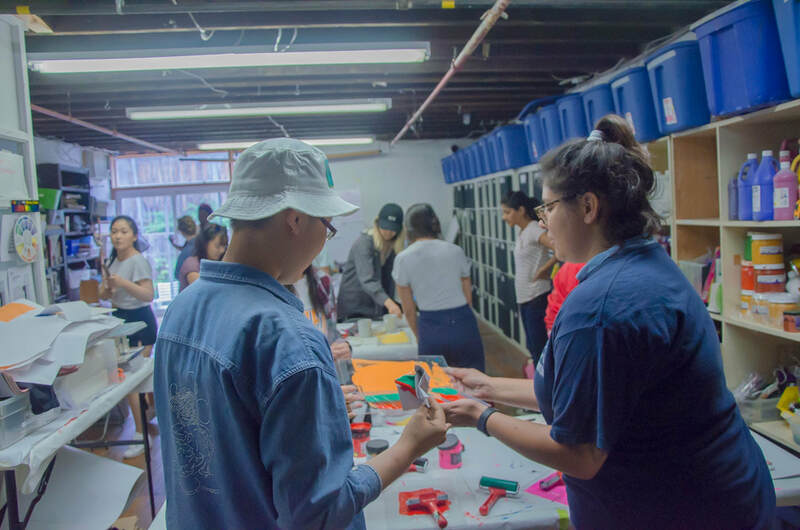 Youth made art in response to the kit at Walnut Studios, the home of project partner Blank Canvases. 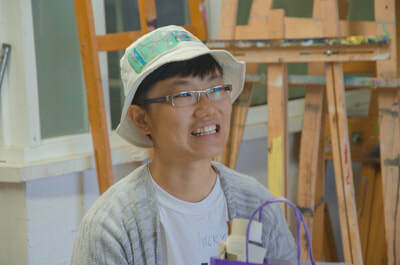 This program was funded by the Ontario Arts Council Arts Education Project Grant and supported by Curry's Art Supplies. 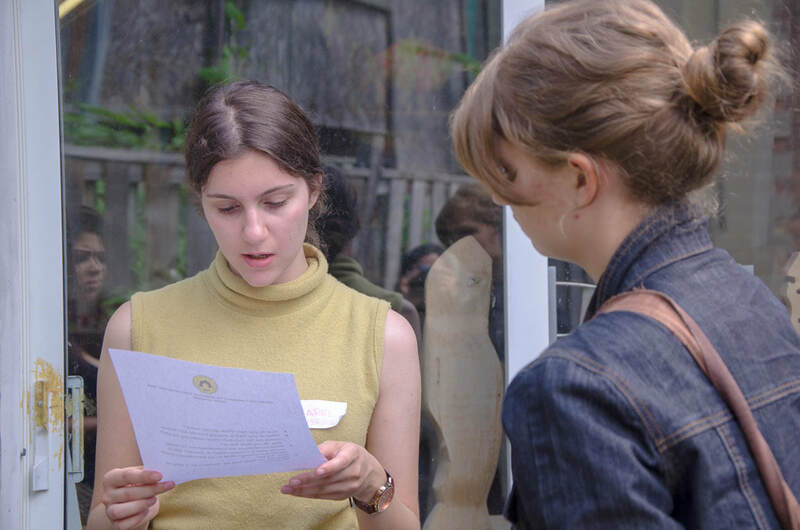 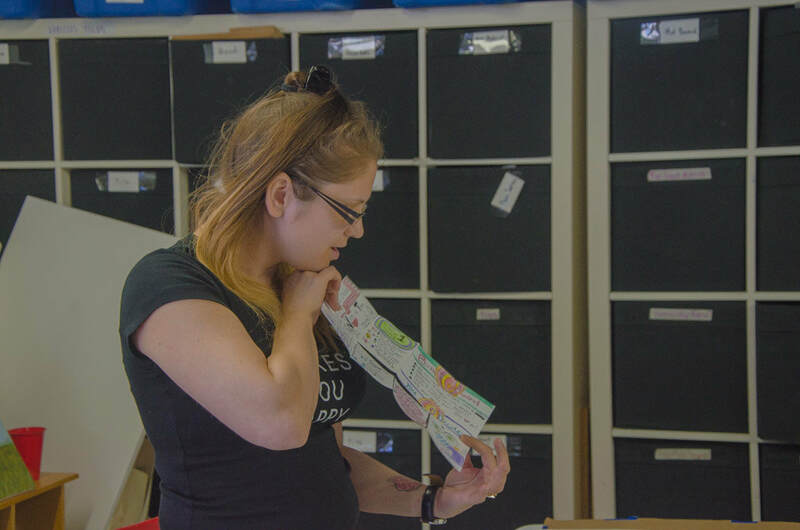 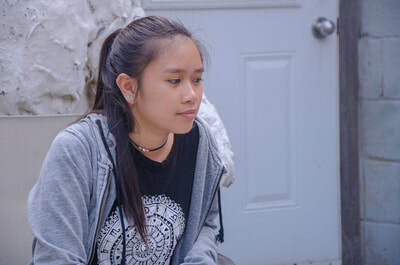 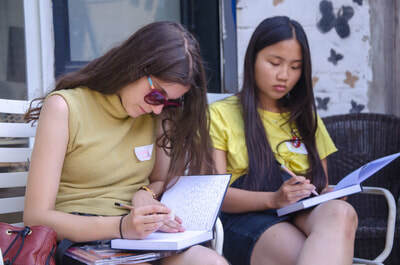 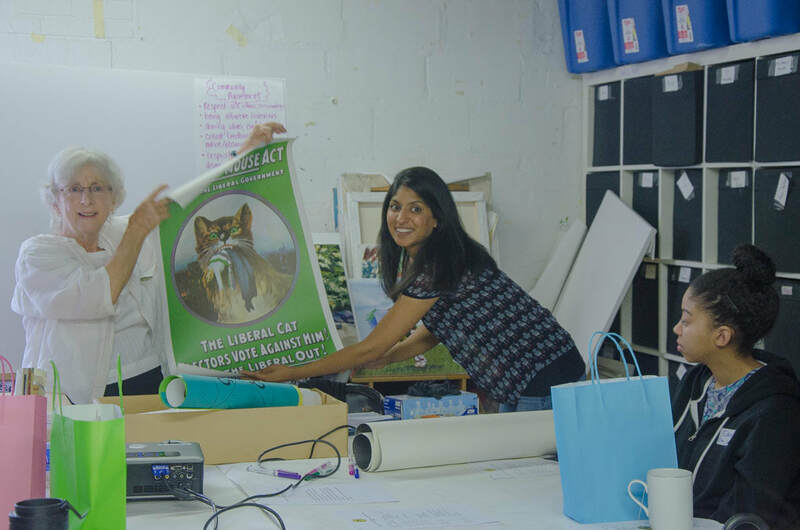 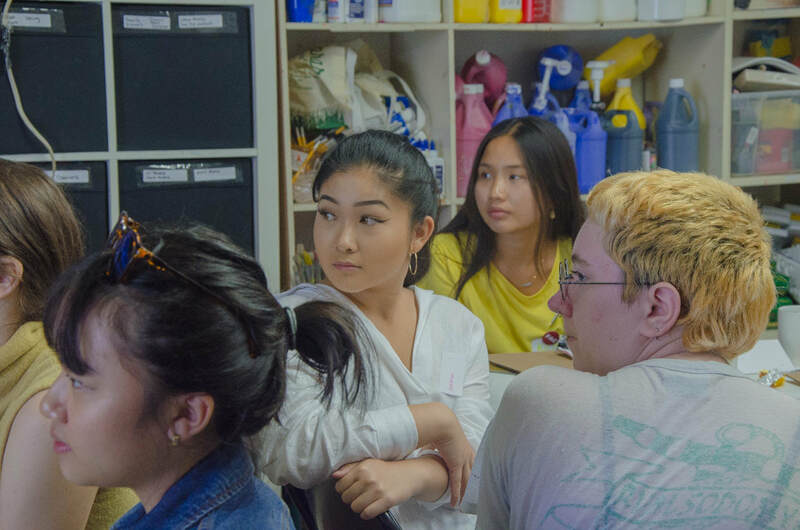 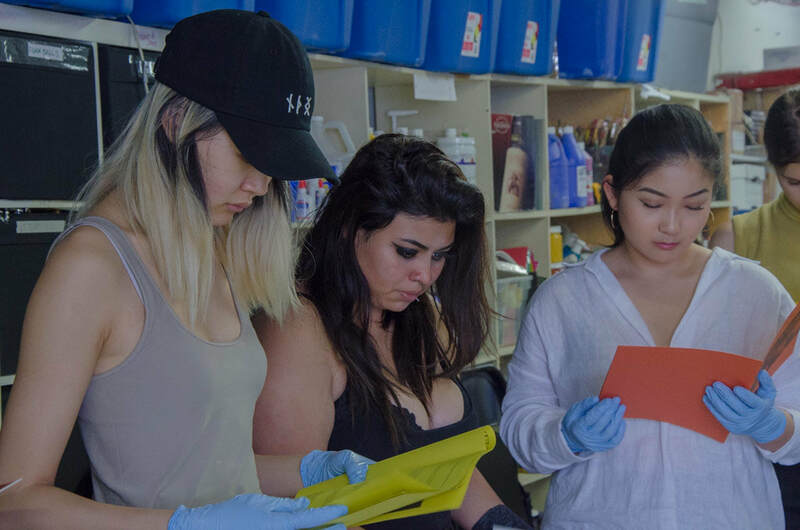 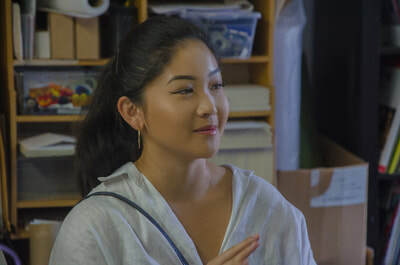 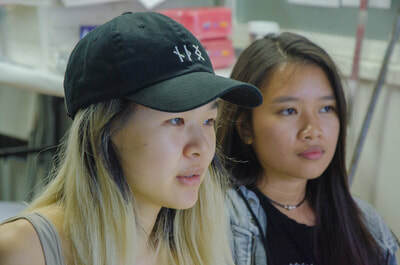 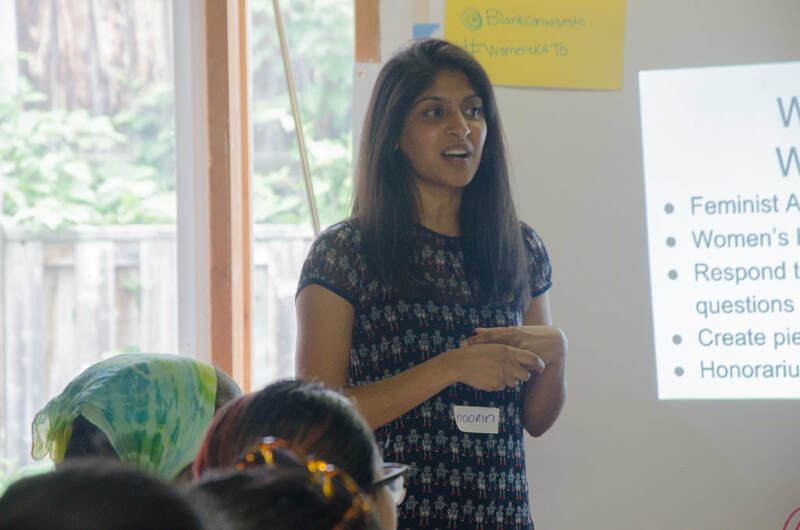 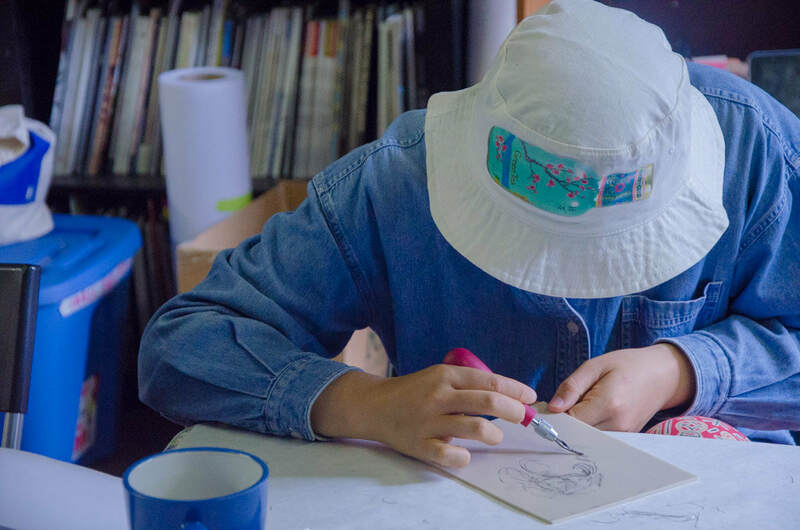 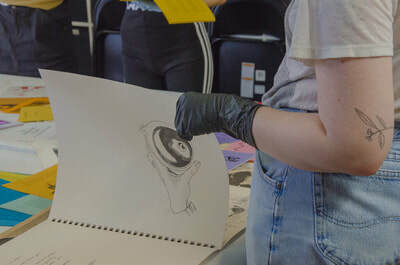 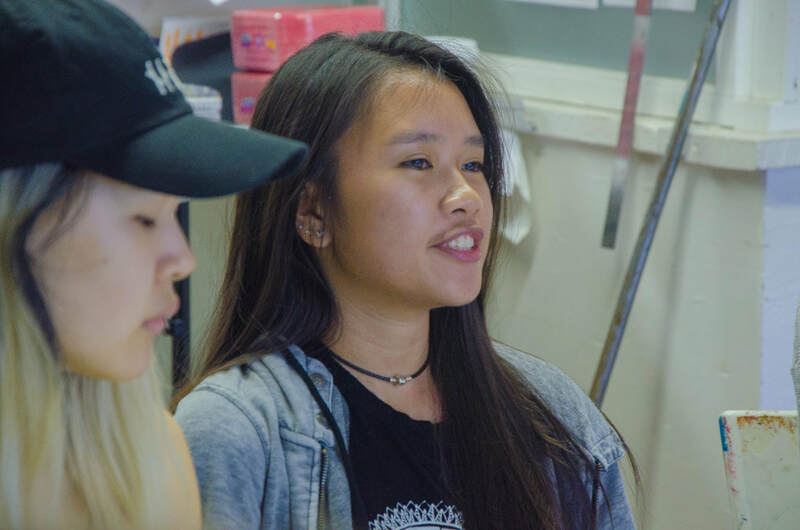 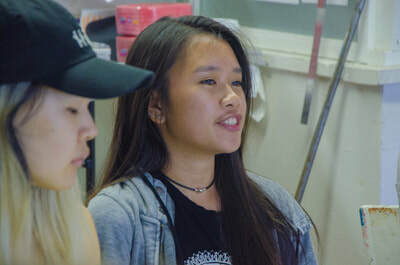 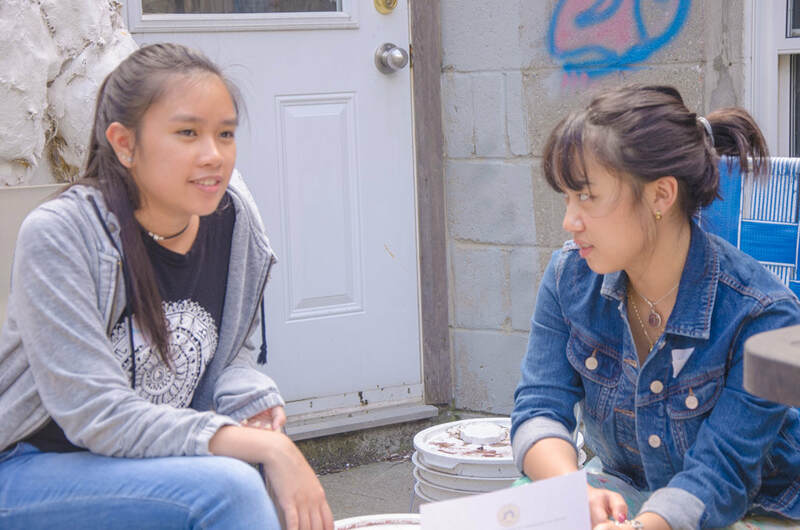 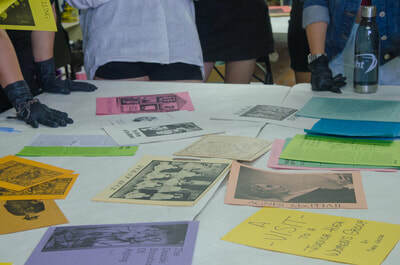 Curriculum and pedagogy was developed and delivered by educators Noorin Fazal and Julia Girmenia, who also provided a preliminary education guide for this website, Maureen Da Silva provided artistic instruction. 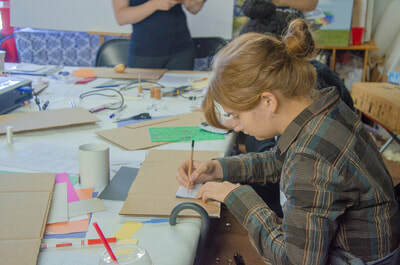 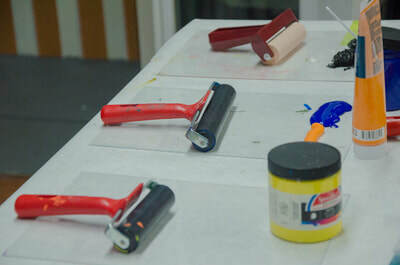 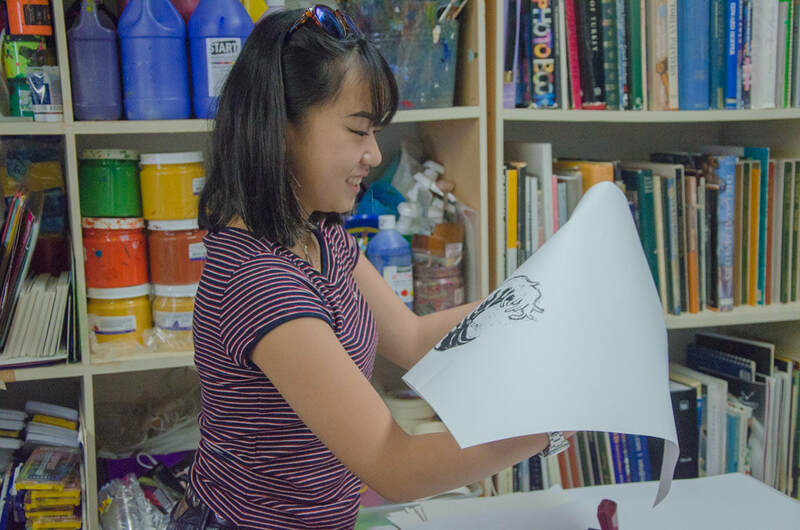 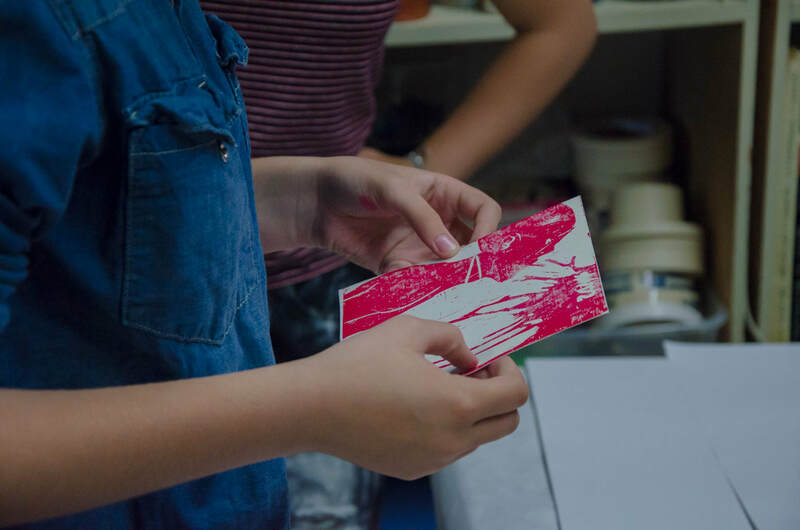 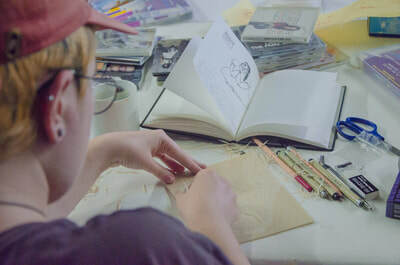 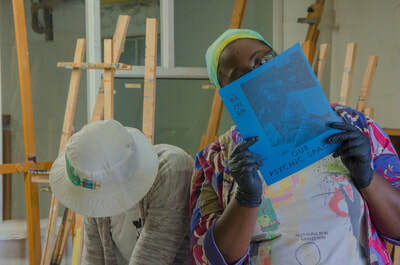 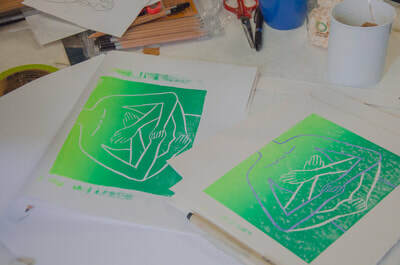 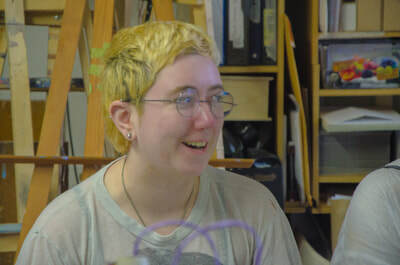 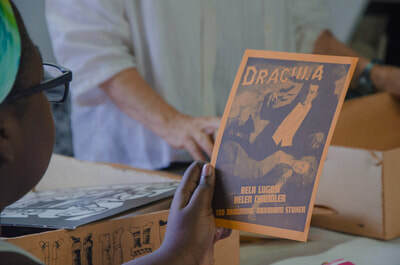 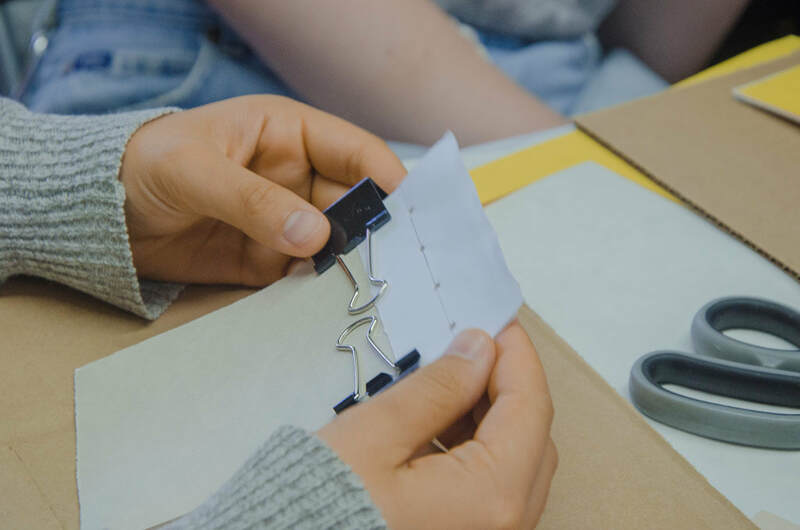 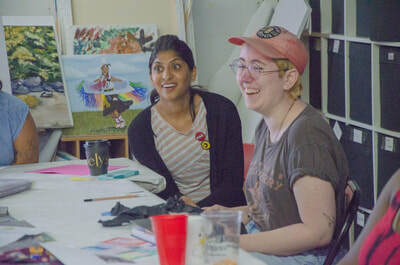 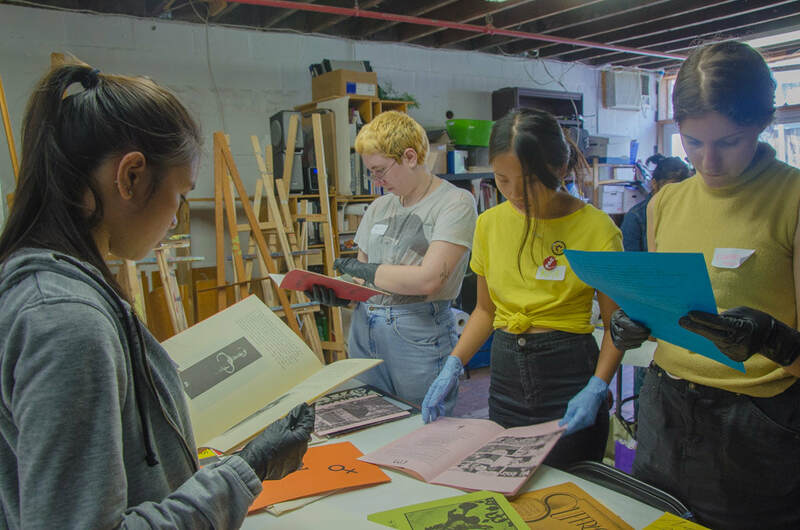 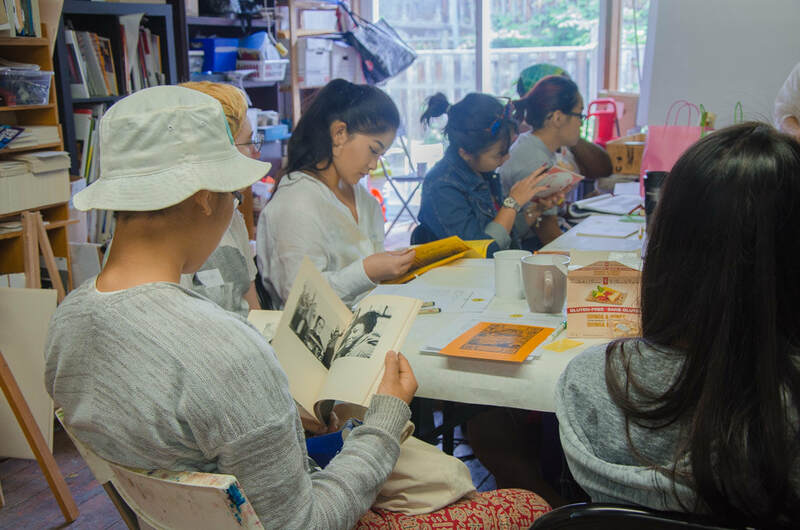 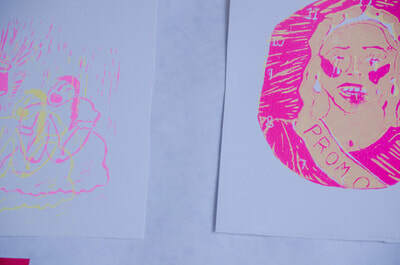 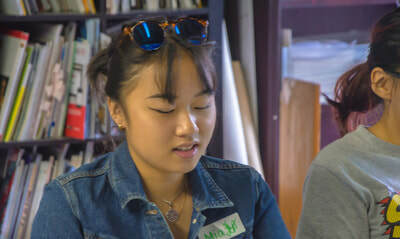 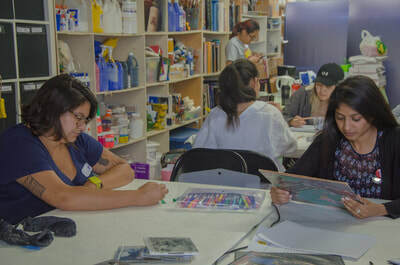 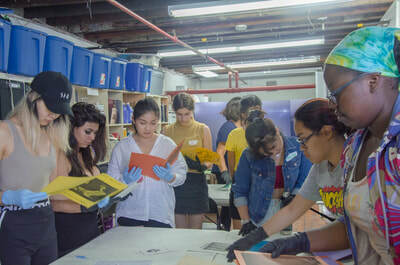 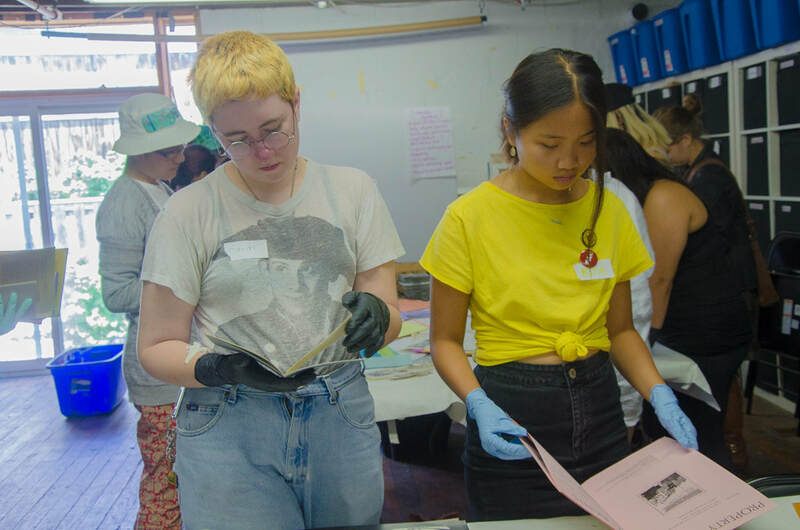 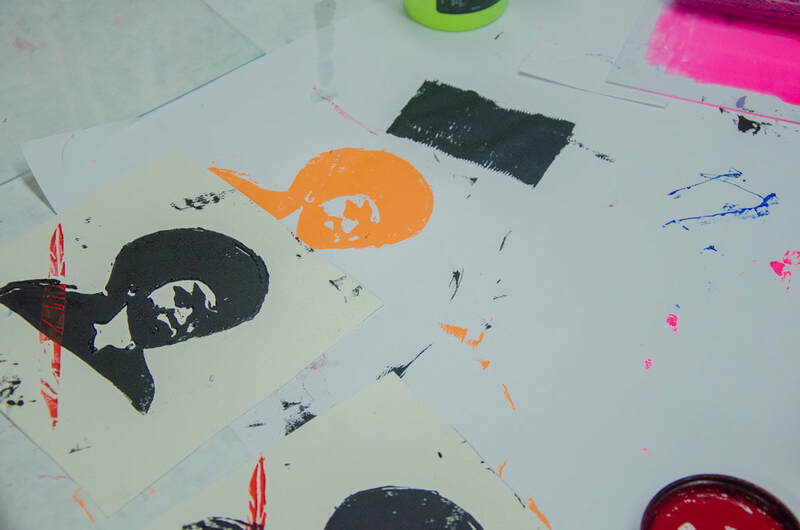 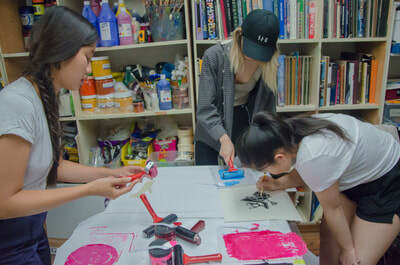 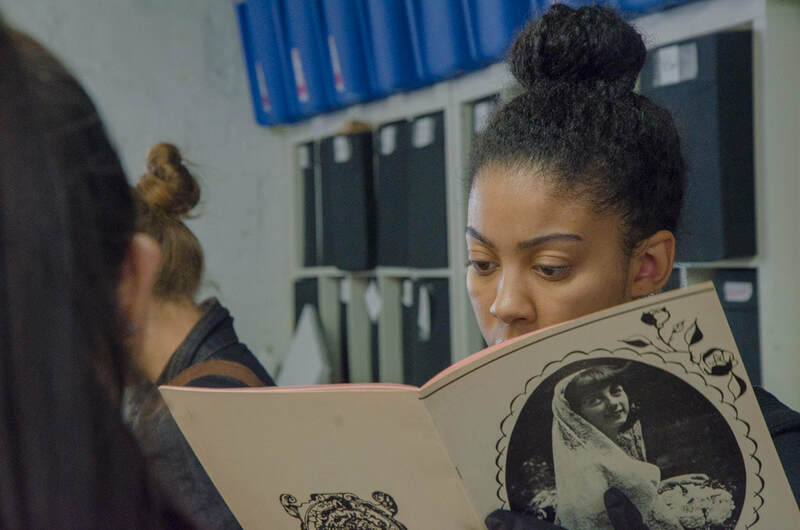 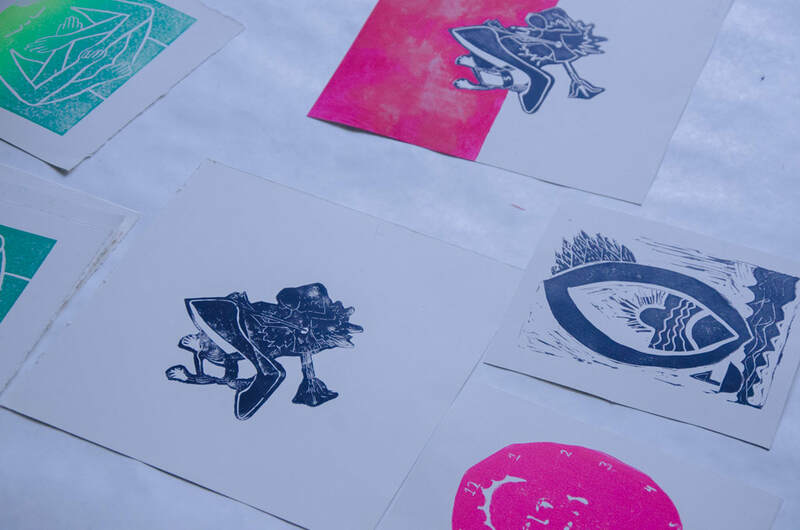 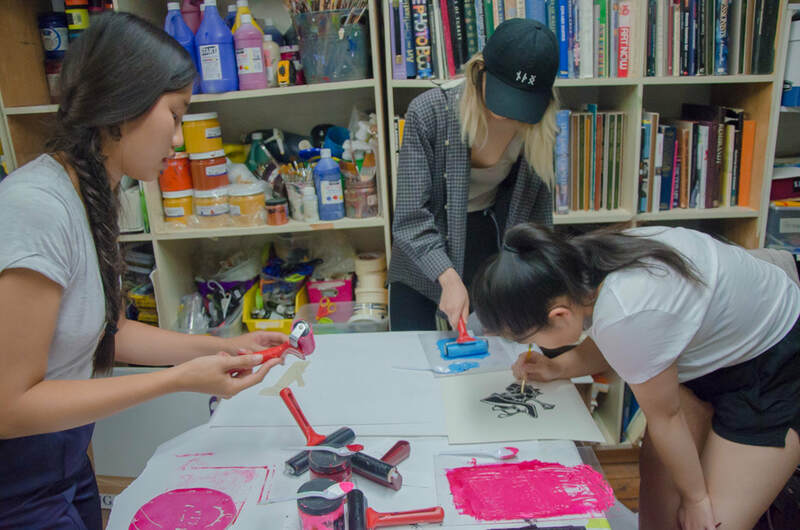 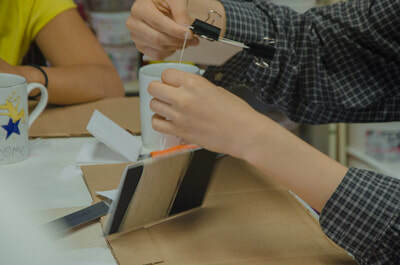 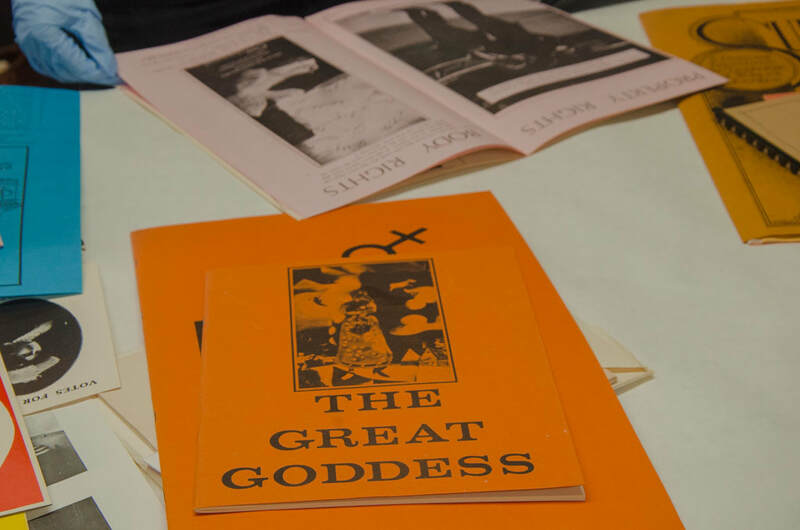 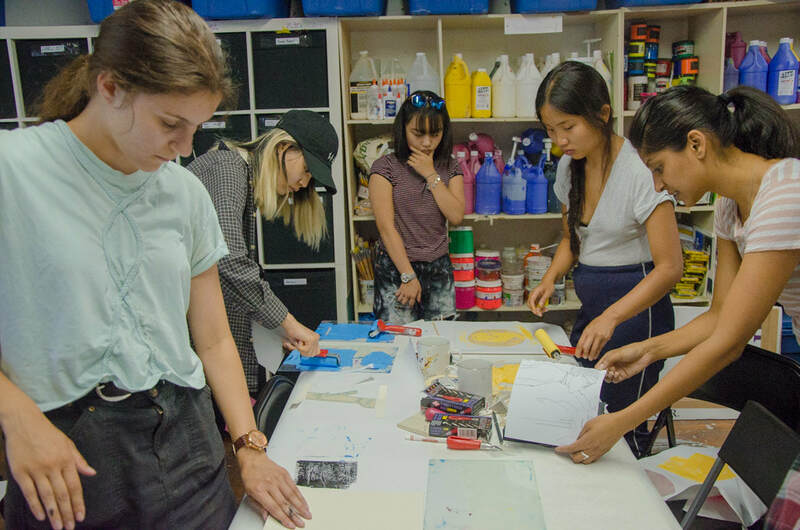 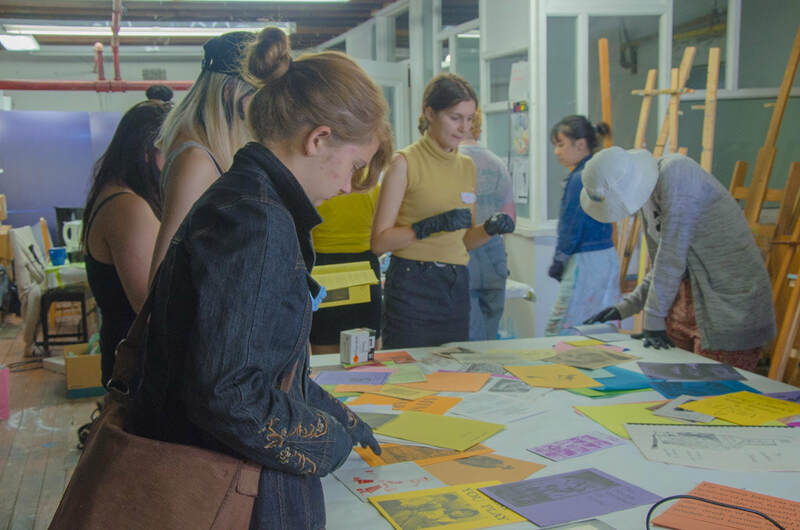 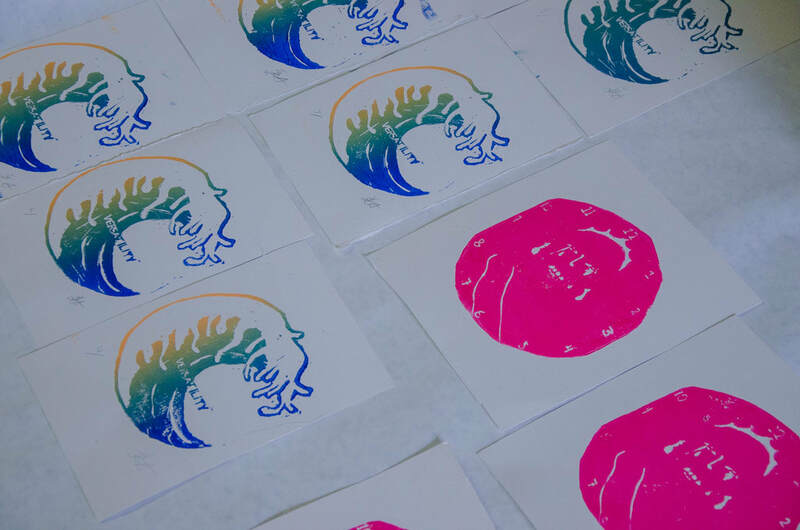 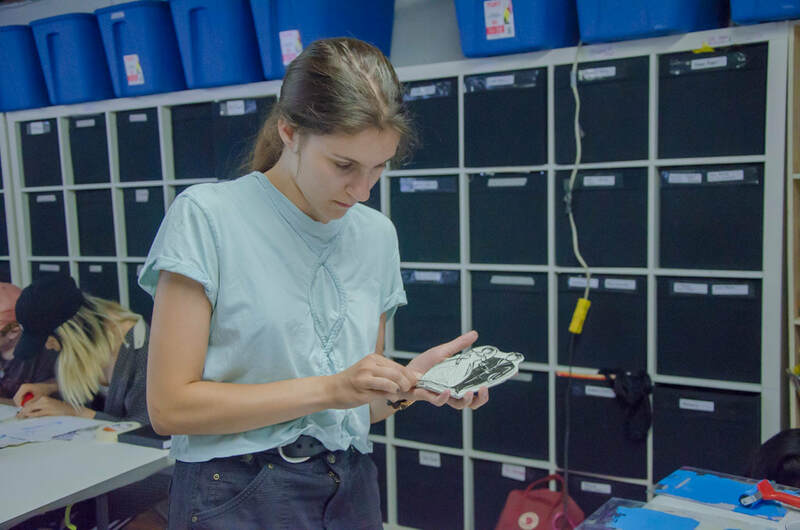 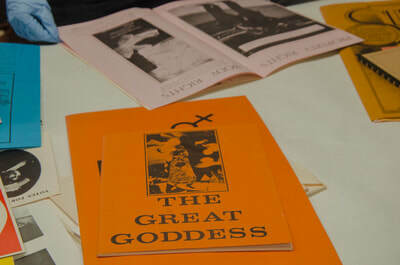 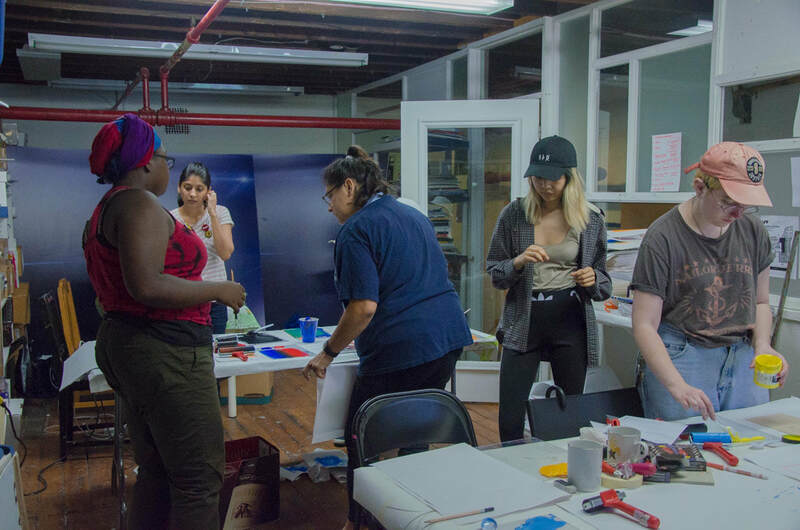 Participants learned basic bookbinding and zine-making, and focused on relief print techniques. 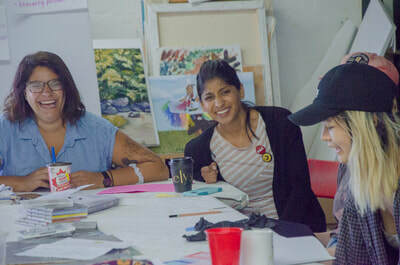 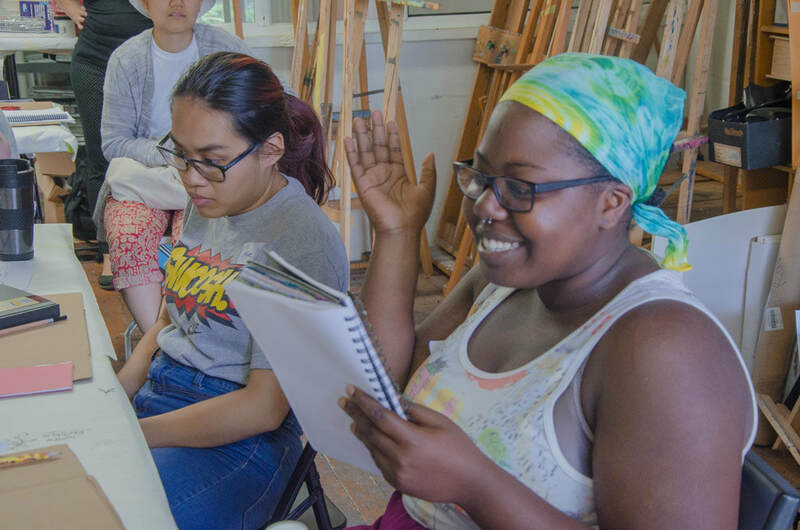 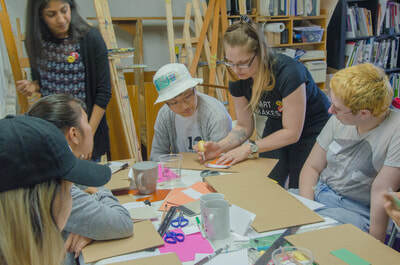 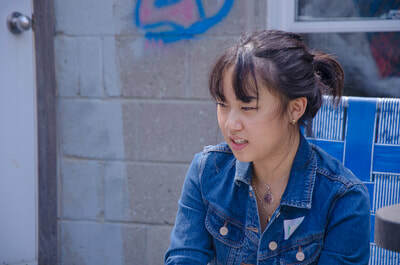 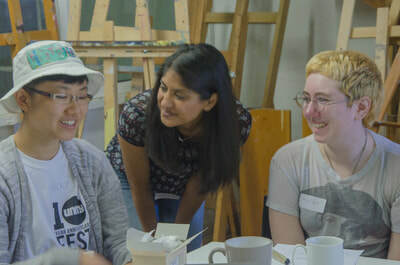 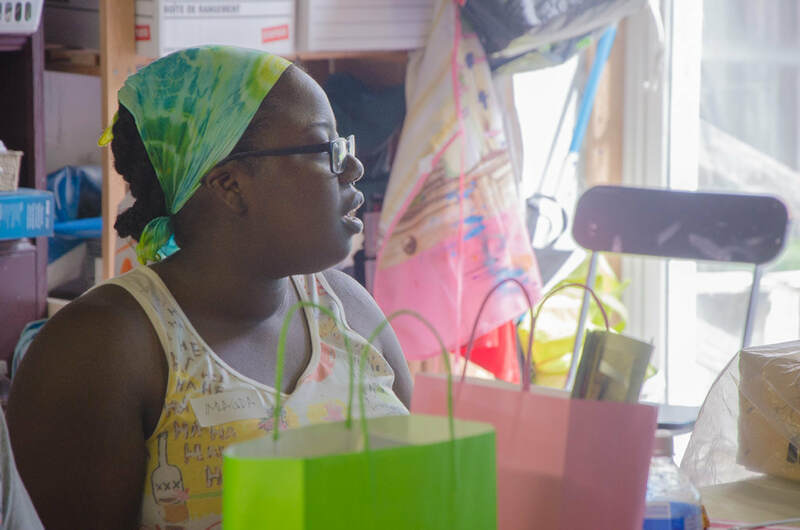 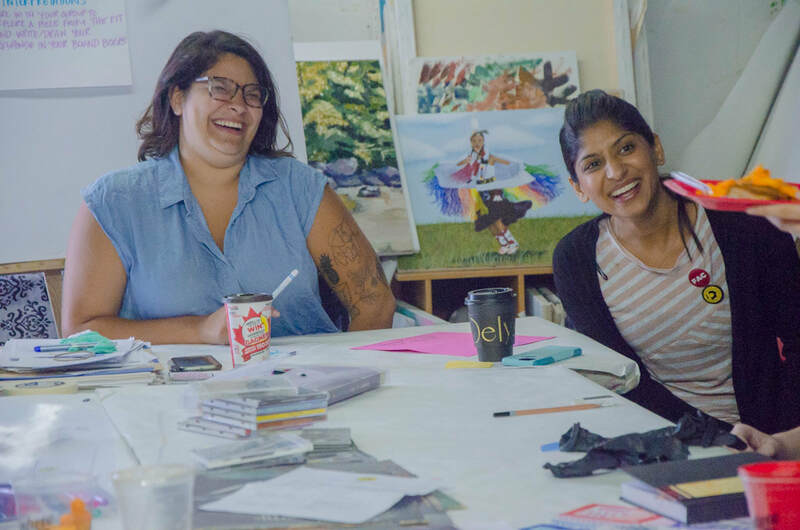 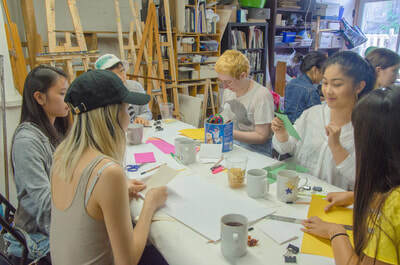 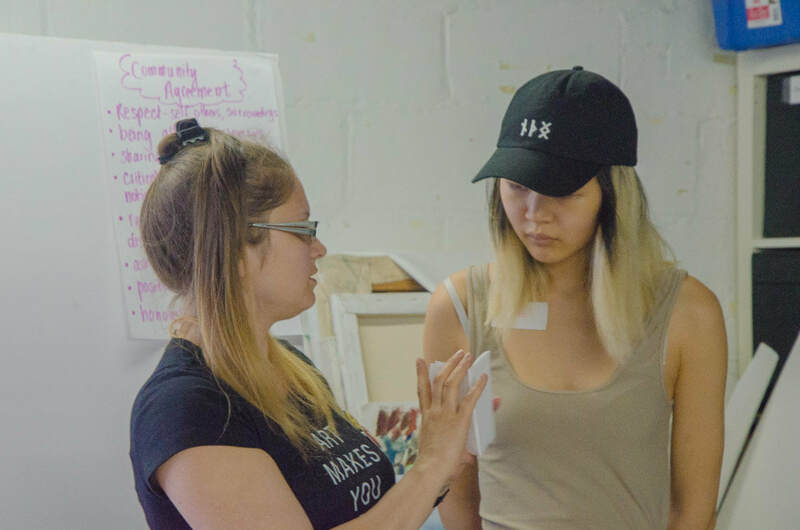 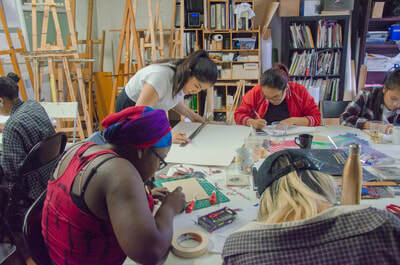 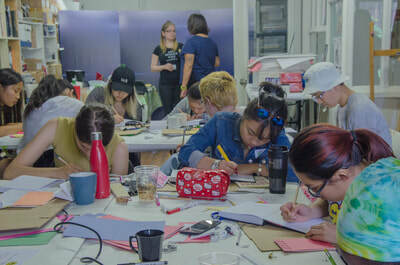 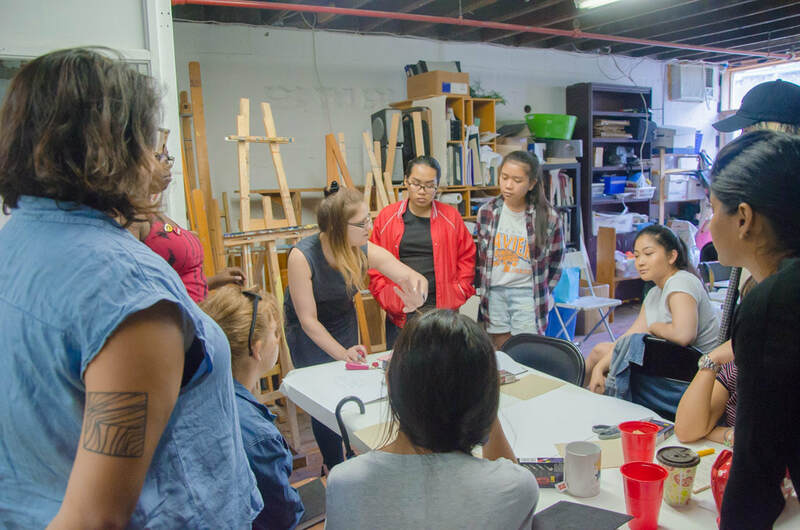 Work from this retreat will be shown as part of The Women's Kit REGENERATION Exhibition, also featuring the work of OCAD students in a concurrent mentorship program with the Kit at its centre. 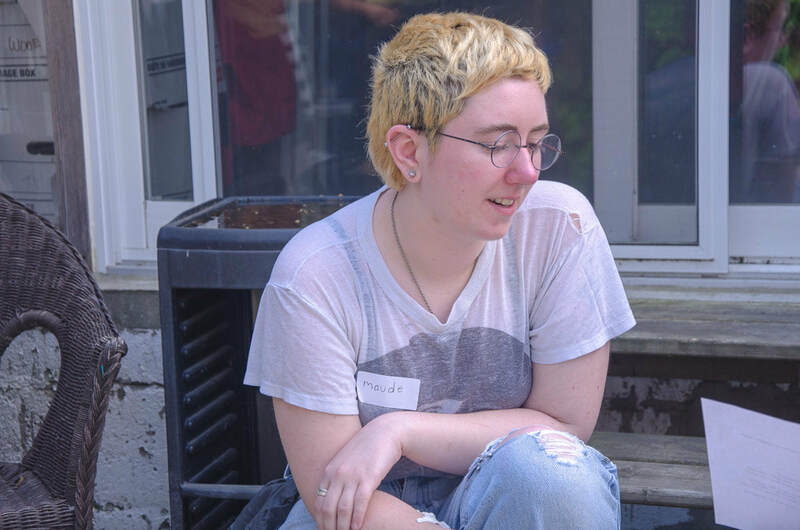 Below are photographs of the retreat. Photography by Maiesha Zarin.